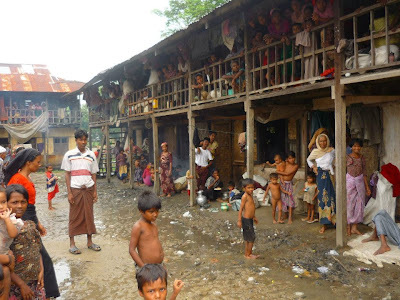 In the Rakhine State, many IDPs, especially women and children, are suffering due to the lack of adequate health services. Those with injuries from the earlier conflict are now faced with complicated infections and pregnant mothers are extremely vulnerable. With the Rakhine State Hospital a few hours away, medical attention remains out of reach for those that need it.